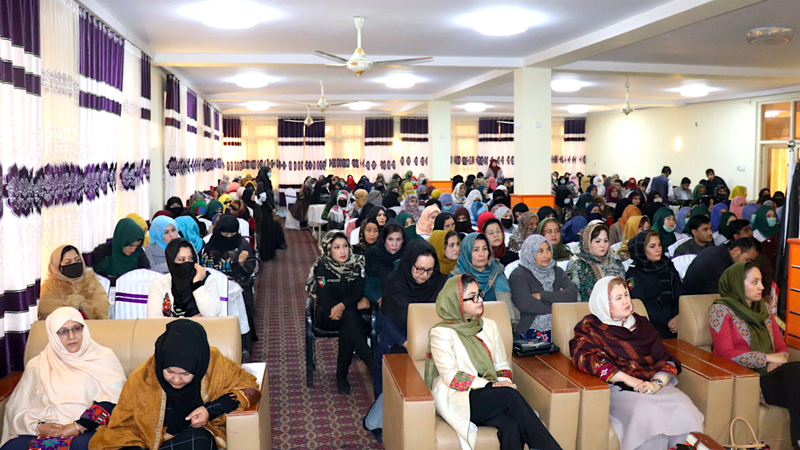 JAWZJAN -- Hundreds of women gathered October 29 in Sheberghan, the capital of Jawzjan Province, calling on Taliban militants to embrace the growing calls for peace talks. "We call on the Taliban and say: for God's sake, enough with the war and fighting! How long should this war continue?" Shugufa Arwin, a 27-year-old civil society activist in Jawzjan, said at the event, which was organised by the Afghan High Peace Council (HPC). "War is a dark and hideous phenomenon that has harmed every segment of the society, especially women, slowing down progress," she said. "Women suffer the most in war," Arwin added. Afghan women are prepared for all kinds of sacrifices in order to bring peace to the country, said Zuya Zulal, 30, another women's rights activist in Jawzjan. 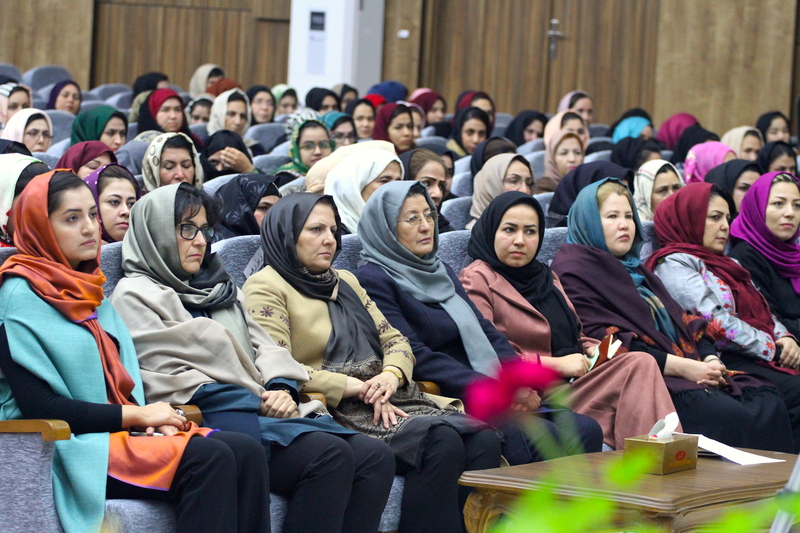 "On behalf of all women, we express our feelings of utmost hatred and disgust to those who fan the flames of war and spread misery in the country," Zulal said at the gathering. "We, the women, want to work alongside our brothers to achieve a comprehensive peace throughout the country," she declared. "It appears a growing number of Taliban members, too, are tired of war," said Alya Hamid, 40, one of the participants in the gathering. "In that respect, the Taliban also seems to be interested in the success of these negotiations." 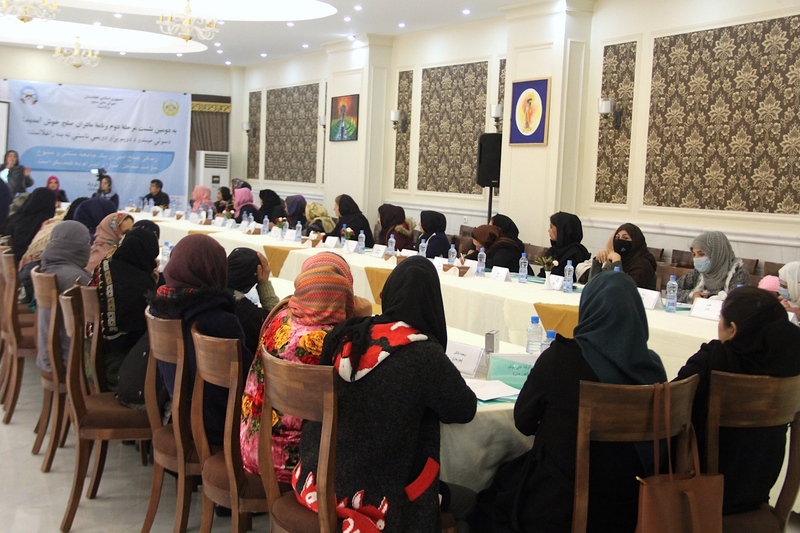 "Women play a fundamental role in bringing peace to the country," Jawzjan Governor Lutfullah Azizi said, expressing his gratitude for women's efforts in various areas and especially in the peace process. "No citizen would want the kind of peace that results in racial, gender and ethnic discrimination," he said. "The only acceptable peace to everyone is one that brings together all segments of the society into the process," he added. Habiba Sarabi, the deputy chair of the HPC, called on all Taliban fighters to put an end to fratricide in the country, to realise the truth and join the peace and reconciliation process. "Peace without women is an incomplete and fragile issue," she said at the event. "We must have a single voice about peace and should transfer that message to our compatriots," she added.